The great majority of Pennsylvania divorces are “no fault” divorces, which means the grounds are irretrievable breakdown of the marriage. Fault grounds, including adultery, are often difficult to prove in court and are more costly to litigate. The process of gathering and submitting proof of fault can often be embarrassing and painful for everyone — especially for the children. Proving fault grounds for divorce used to be the only way you could get divorced in Pennsylvania. Now Pennsylvania allows couples to get divorced just because they want to, without giving a reason other than they no longer get along. Under no fault divorce, it doesn’t matter why you want to get divorced and the court can still decide other issues such as property division and alimony. What is a no-fault divorce? 1. One person files for the divorce and once 90 days has passed each party may file an Affidavit of Consent to divorce. You may also work out any property issues you have in a Marriage Settlement or Post-Nuptial Agreement. 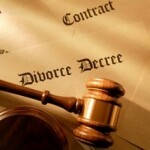 The court rules require you to file a series of legal documents to complete the divorce. This is the fastest way to divorce in Pennsylvania, but it requires the cooperation of both parties. 2. No fault divorce is also available if one of the spouses will not consent to the divorce but the parties have been living separate and apart (even if living in the same residence) for at least 1 year and the marriage is irretrievably broken. You can file for the divorce at any time, even before the 1 year waiting period, but you cannot begin to get the divorce until the 1 year period is over. Also, you may not be able to obtain a divorce if there are outstanding issues related to property division. You usually must resolve all issues resolving property division and alimony before a divorce will be granted by the court. Keep in mind that other issues are often involved in a divorce, such as child support and child custody and may still need to be resolved, either by agreement of the parties or by order of the court. Child custody and visitation, as well as child support (if any minor children are involved). Most Pennsylvania divorces are “no-fault” divorces, meaning the grounds are irretrievable breakdown of the marriage, personal indignities or other fault-based grounds that must be proven. Fault grounds can be difficult to prove in court and are more costly to litigate. More importantly, the process of gathering and submitting proof can often be embarrassing and painful for everyone — especially for any children of the parties. Proving fault grounds for divorce used to be the only way you could get divorced in Pennsylvania. Now Pennsylvania allows couples to get divorced just because they want to, without giving a reason other than they no longer want to be married. Under no fault divorce, it doesn’t matter why you want to get divorced. In cases were a no-fault uncontested divorce is appropriate your divorce can often be completed in about 90 days for a flat fee or in as little as 30 days if you have already been separated for over 1 year. 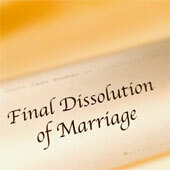 Click here for information about Uncontested Divorces. We Serve Pittsburgh, North Hills, South Hills, Cranberry, Greensburg, Allegheny, Butler, Beaver, Washington and Westmoreland Counties. DISCLAIMER: Your use of the website constitutes your agreement to be bound by these terms. The materials provided on this site are for informational purposes only. These materials constitute general information relating to Pennsylvania law and our firm. They do not constitute legal advice or other professional advice and you may not rely on the contents of this website as such. Use of this website does not establish an attorney client relationship. For more information Click Here. Copyright © 2019 Pittsburgh Divorce Attorney All rights reserved.